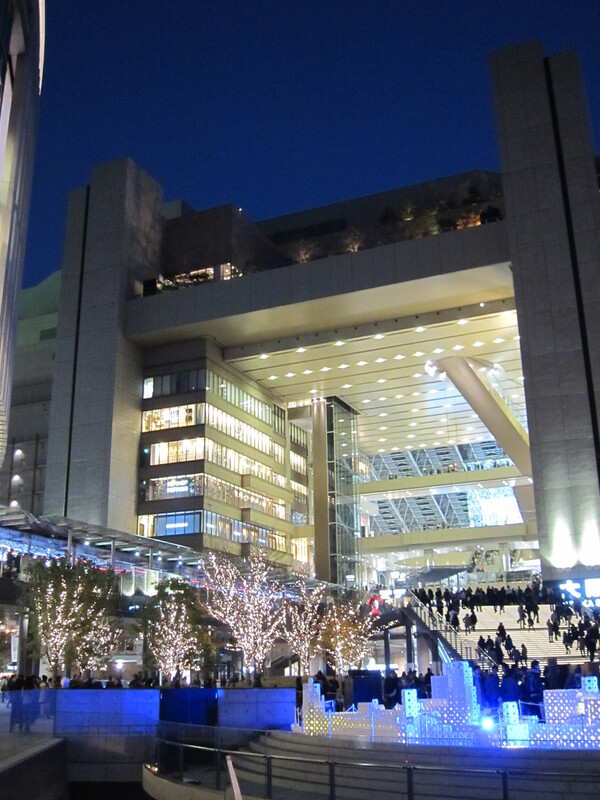 As mentioned in Short Trip from Kyoto: Where to go?, Osaka can be a perfect destination for a one day trip from Kyoto. 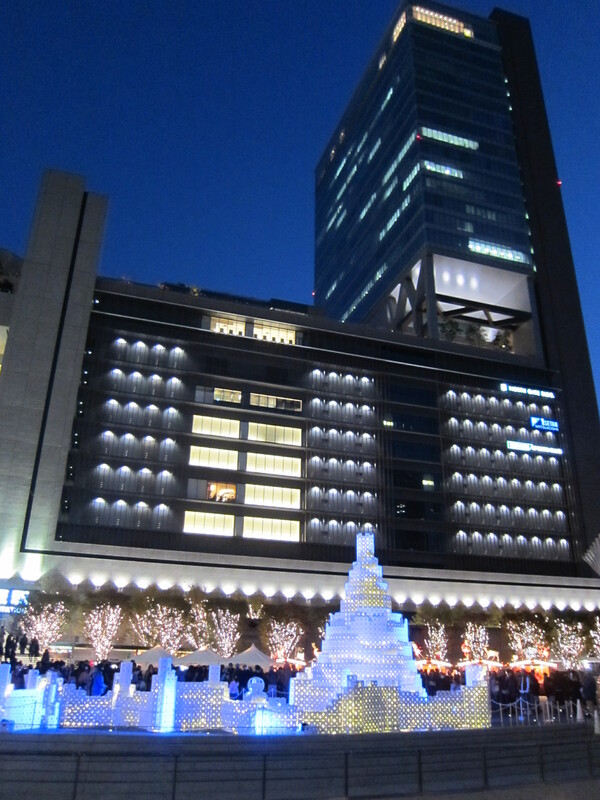 People, food, and culture in Osaka are very different from those in Kyoto. The minute one gets off at Umeda/Yodoyabashi Station in central Osaka, a different world will emerge. 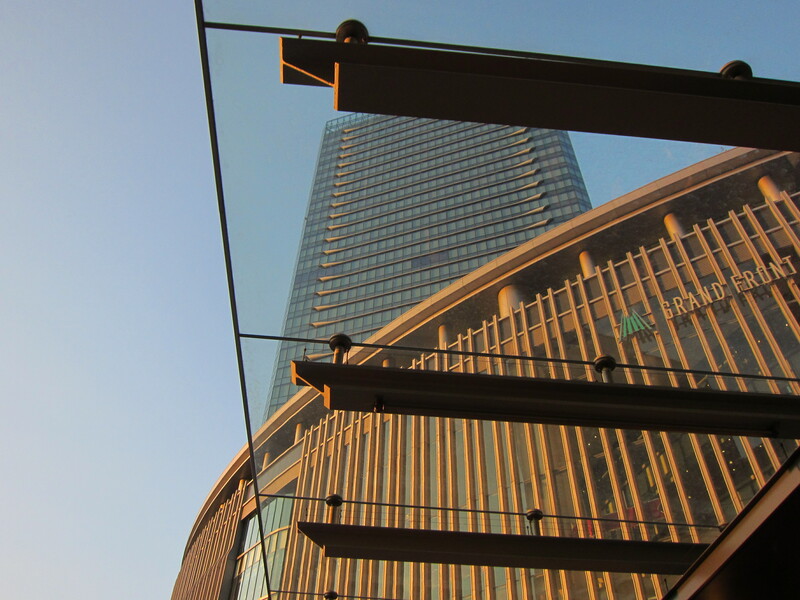 For those who like shopping for the latest products, Osaka will provide a fantastic experience. There is a large underground shopping arcade attached to the station. But be careful not to get lost! Additionally, there are several other department stores surrounding the building which specialize in stores for different ages or fashions. 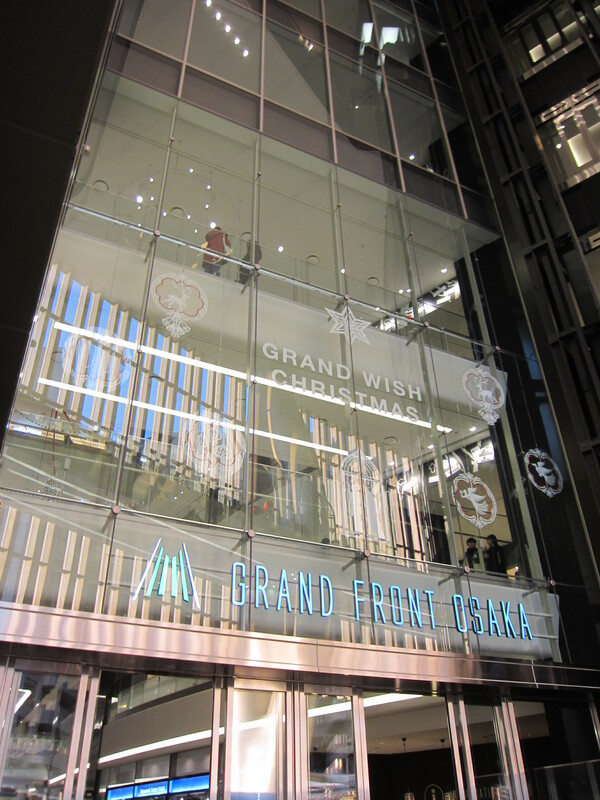 Here are a couple of pictures of Grand Front Osaka, which is one of the biggest and newest shopping centers in Osaka. 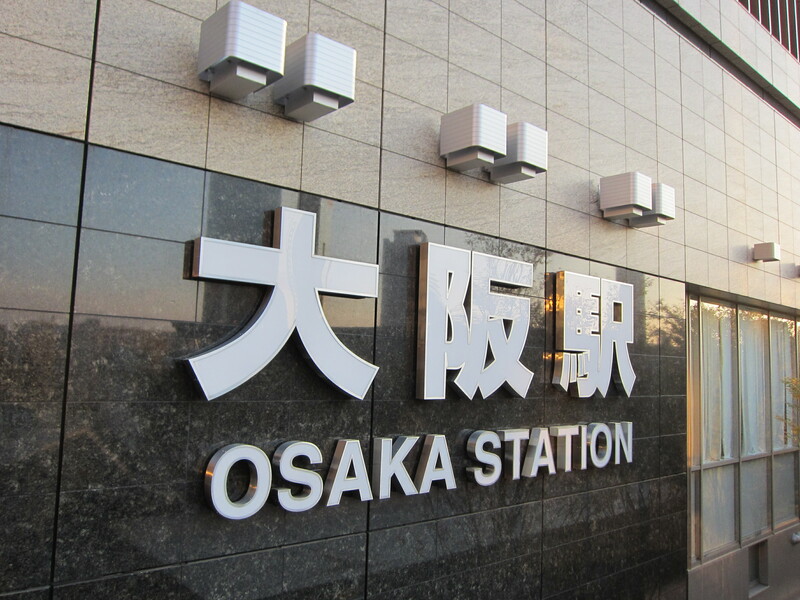 To get to Grand Front Osaka from Kyoto, the easiest way should be using the JR line from Kyoto Station and getting off at Osaka Station (Tokaido Line) or using Hankyu Line from Kawaramachi/Karasuma Station and getting off at Umeda Station.